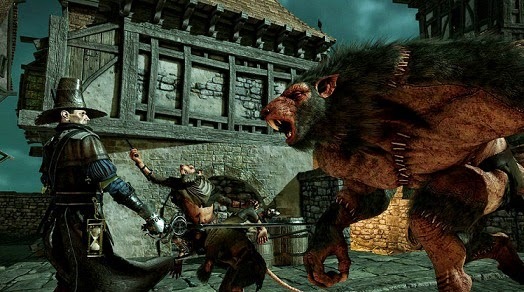 Last February Fatshark announced Warhammer: End Times Vermintide, and during the Game Developers Conference in San Francisco had the opportunity to know the first details of the game. This is a co-operative first-person shooter, whose action is developed in "End Times" within the universe of Warhammer Fantasy. In Vermintide, the story takes us to the city of Ubersreik, which is under the threat of fearsome Skaven. To start our adventure we have to choose our character. Find five heroes to choose from and, of course, each presents their own set of skills, personality and weapons. The player is responsible for choosing the desired attributes and is at his disposal to survive this apocalypse caused by the Skaven. In our journey through this adventure we will travel to venues such as the Magna Tower or Under Empire. The game experience will vary depending on the character you choose, and we will live the course of events through his eyes. A story is told through purely moments of action and the comments, live characters appear on screen, since the study did not want to interrupt the fighting to enter cinematics. The pace in this Warhammer is rampant and we will always be lurking in coordination with the other players. Move around the stage as a united and not dispersed group is essential as we will face hordes of ratmen at all times and stay separately can have dire consequences. In our demo, we enter fully into the action with three other players crossing several areas of this dark city and taken by the Skaven. We had the opportunity to complete two rounds, allowing us to look at something interesting that every time we play, the system notice to these ratmen in different places and at different amounts, so you never know what to expect every time you play one game. Another fun element is the fact that each Skaven belongs to a different class. How could it be otherwise, there are normal, with axes and swords, but there are also some other (and quite annoying, we say) that attack us from a distance throwing acid pumps we have to flee quickly. Another type is a ratman will catch you off guard from behind and will drag you to take away from other players. One aspect that conveys some concern, because this "bug" will drag out the heat of battle and don’t know what to do with you. So, once again, teamwork is essential because if one of our colleagues is hunted by a Skaven this way, we have to go quickly to your rescue. Returning to the protagonists of this adventure RPG, their appearance appeared hidden in the official company website, but during our session at GDC had the opportunity to meet some aspects of them. In our first round handle a knight, ideal for close range attacks, but also over long distances. For melee use your ax (by pressing the right trigger continuously for a few seconds, the blow with the ax was more effective as it could kill multiple enemies in one stroke. Ideal for when you see yourself surrounded by Skaven). To shoot enemies coming from roofs or we are throwing smoke bombs used his machine gun, which fires a somewhat slowly. In the second round we had the opportunity to explore the same experience with an elf and arrows, which helped us stay further away from the hordes of enemies. For the scenarios we will be crossing some rooms from which we can reload ammo and grab other items such as grenades, which came very well for the last part of the adventure. In this scene, we were in a town square, surrounded by ratmen. Our mission was to destroy them, relentlessly, while trying to grab barrels environment and reach in a gigantic gate, which was our only way out. Once annihilated all these nasty enemies, all we had to do was get away from the door, point and shoot to make it blow up. Just after we move into a more open space, but when it seemed that something was going to happen, the demo is just a "To be continued", which inevitably left us wanting more. In short, we find an entertaining experience that will convince fans and anyone Warhammer player seeking a new experience of online collaborative role with Warhammer. Vermintide End Times will be available in the second half of 2015 for PC, Xbox One and PlayStation 4.